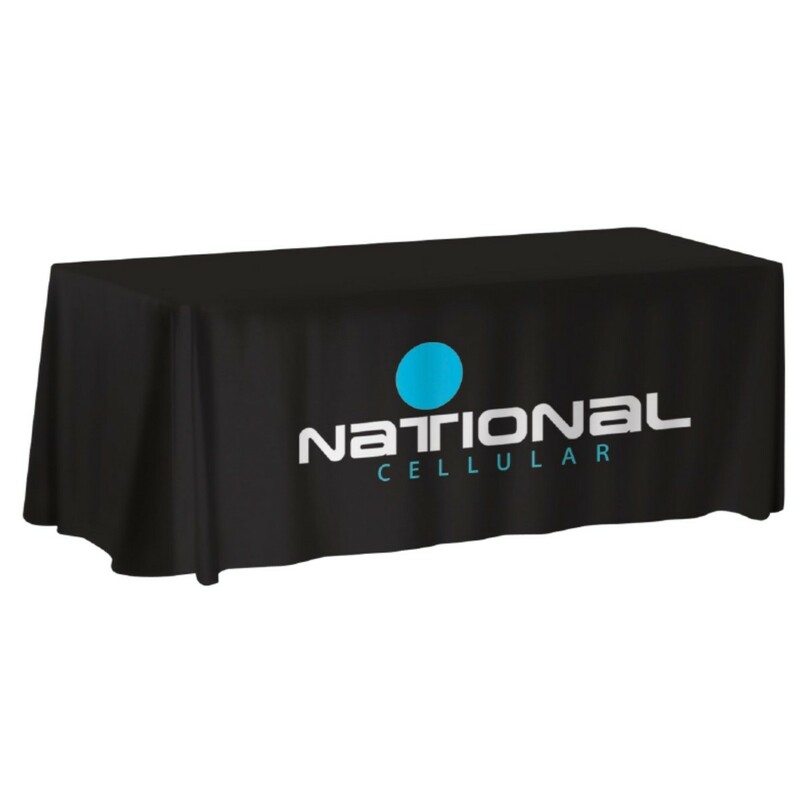 100% polyester 300 denier 4-sided table covers. Price include full-color dye sublimation print; add any additional charges. Set Up Charge:$50.00(C). Only one SET UP CHARGE PER TABLE COVER regardless of number of imprint areas.